4 different figures per pack. 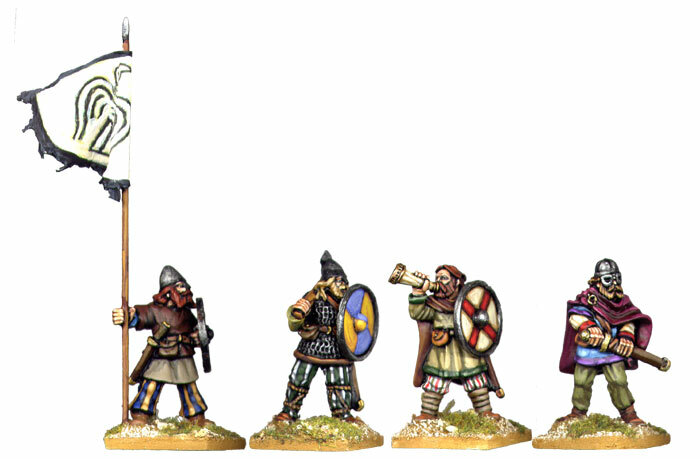 Viking Command pack does not include the flag or flag pole. These can be bought from the modelling section of the website. Some modelling is required.